Elegance, grandeur, picturesque looks mini mansion house built by Homechoice Planners & Construction Corporation – the Mr. & Mrs. Escalante house property located in Golden Glow Village, in now for sale! This house is made with its excellent and total convenience it gives to the residents. Its beau and the materials are worth a million and more than millions of goodness and vitality for the years to come. It is a long lasting house construction and it is now ready for occupancy! 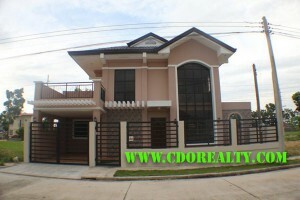 It is now for sale for only P 6.5 M. Everybody is invited to avail this house and lot. You are one of those people who are interested with this class kind of house construction. For its amenities, it has 4 bedrooms (master’s has a walk-in closet and own toilet and bath), 3 toilet and bath, balcony and carport, 1 family entertainment room, kitchen and laundry areas. It has also 1 double door refrigerator, gas range, flat screen television, and dvd player. 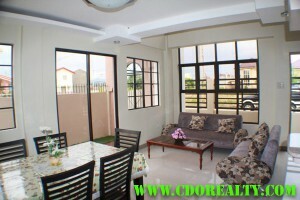 Worth fully furnish house and lot; worth and good for you! This is on a rush sale now. This is guaranteed not yet used house, since from the construction dates. Contact us now and check this house on your convenience! This is just one of our successfully done projects, which we could say, really boastful with its made and quality. Want to have this house? Or would rather want to build like this one for your own? Contact us through email or call. We will grant your house dream to be!